We specialize in authentic Italian cuisine. 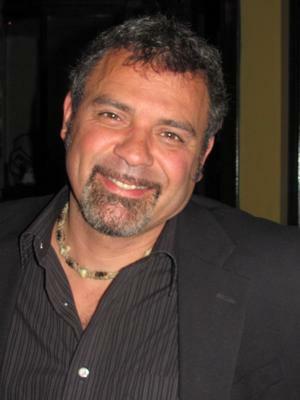 However I have trained with a Greek chef & learned a few Greek dishes which are on our menu. I dabble with French desserts and cooking methods (creme brulee to duck confit). A Spanish paella can often be found on my feature sheet as well as Moroccan lamb. We do specialize in pasta however using olive oil & garlic as a central base for most pastas. We are open 7 days a week from 5pm for dinner only. Since we come from the Napa Valley of Canada, a plethora of amazing BC wines dot our wine list. We also feature Italian, French, Spanish, Australian & US wines on our extensive wine list. We have live jazz every Thursday throughout the year with highly skilled local musicians playing the perfect dining music. We always celebrate our holidays so new years eve is always a gala affair. Our Anniversary in August is always a yearly blow out event. Together with local charities, we have countless of fundraisers a year. Please check our website for upcoming events. This year, 2011, we finally gave in to the countless requests for our recipes and published a cookbook. 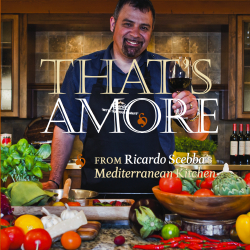 On it's way to being a national best seller, "That's Amore" has been a plesant surprise for us and is taking us across our country in the upcoming months for a book & TV tour. If the New York Times could review it, I'm sure I can make my way across the USA as well. The book is available at most book stores in Alberta & British Columbia and also on our website.